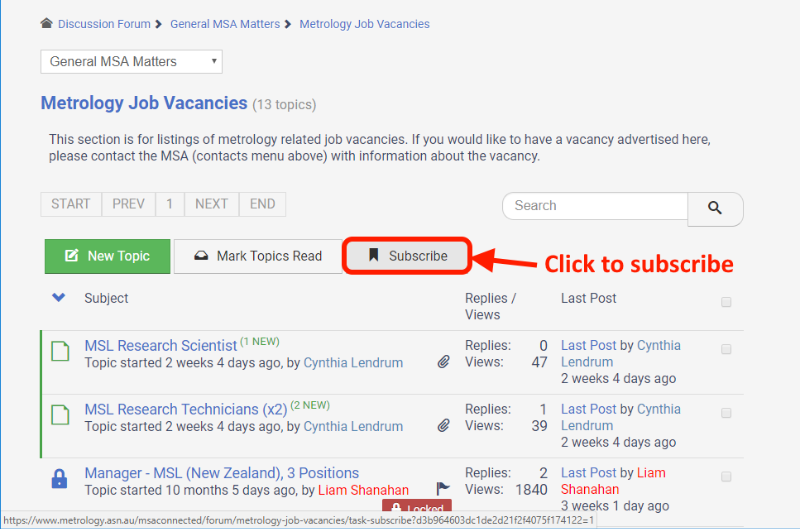 If you would like to be notified by email whenever a new job advertisement is posted, please go to the Metrology Job Vacancies section and click on the subscribe button. Good luck! If you are a current MSA member and you or your employer are seeking a new staff member, please feel free to post an advertisement in this section of the forums. New job ads will appear on the MSA homepage under the "Latest Discussion Topics" section as well as being emailed to any members subscribed to receive job ads. Please include a closing date in the description if applicable, and reply to your topic to notify readers when the position has been filled. Job ads will be closed after 4 months without activity. Please only post jobs that would be of interest to MSA members. If you are unsure please contact anyone on the MSA Committee via email. If on the rare occasion that a posted job is considered unsuitable for any reason, at the discretion of the MSA committee, it may be removed without notice. Finding the right people is difficult in any business and especially in metrology, so we hope that this facility will help you find the right person from within the MSA.